Biogen to cut 880 jobs, 400 of them in Mass. 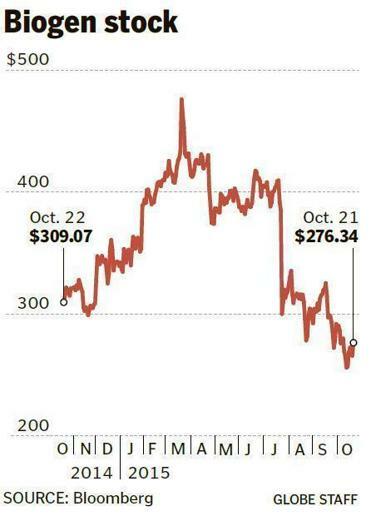 Biogen’s stock, which hit a high of $480.18 in March, has plunged dramatically this year. It’s the world’s largest maker of multiple sclerosis drugs and the most highly valued company in Massachusetts. But size and status couldn’t shield Biogen Inc. from stumbling in the notoriously risky biotechnology business. On Wednesday, Biogen said that it will cut about 880 jobs, including 400 in its home state, and end several research programs in a restructuring driven by slower sales growth and a multiple sclerosis drug trial that fell short of expectations. The layoffs will eliminate 11 percent of the Cambridge company’s 8,000-person worldwide workforce. Biogen, which has about 3,300 employees in Massachusetts, will discontinue a late-stage clinical study to expand the use of its top-selling drug, Tecfidera, as well as the development of therapies to treat lupus nephritis and immunology and fibrosis research. Researchers working in those programs will lose their jobs along with managers, administrators, and sales and manufacturing employees across the company. The company also reported that a late-stage study of another MS drug, Tysabri, which treats patients with relapsing remitting MS, failed to meet its goals in treating a form of the disease known as secondary progressive multiple sclerosis. Biogen had hoped that drug would expand the market for Tysabri and treat patients for whom there are no effective drugs. That effort has been dropped. 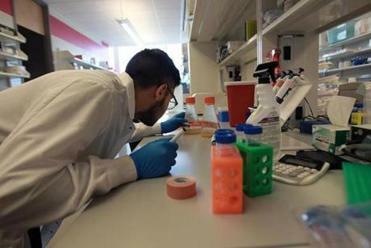 Three companies with Boston-area operations were dealt somber reminders that even in the booming biotech world, there are speed bumps. 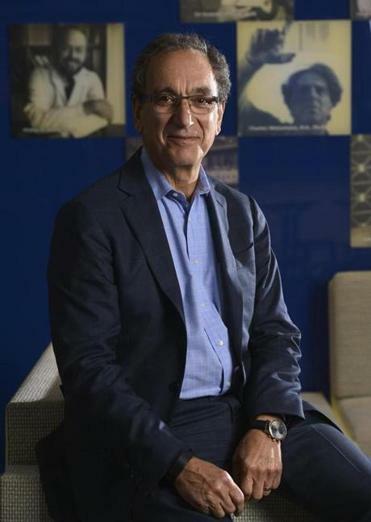 Despite profits of $3.3 billion last year, Biogen is not immune to the kind of setbacks that have tripped up other companies in the booming Massachusetts biotech sector. Last week, Shire PLC, which is run out of Lexington, learned US regulators were delaying a decision on approving an experimental drug to treat dry-eye disease. Earlier in the month, Verastem Inc., of Needham, said its cancer drug candidate failed in a clinical study, while Zafgen Inc. of Boston reported the death of a patient in its clinical trial for an obesity drug. Biogen’s retrenchment will pare its annual operating costs by about $250 million. The savings would be used to invest in at least four drug candidates in late-stage development, including a much-anticipated experimental treatment for Alzheimer’s disease and a drug that could repair nerve damage in MS patients, rather than simply slow progression of the disease. Biogen shares rose 4 percent to $276.34. 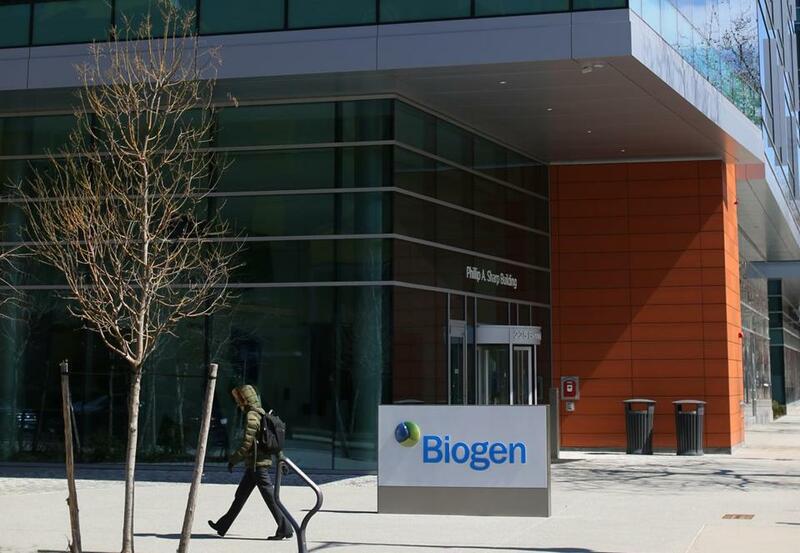 The stock, which traded as high as $480.18 in March, has plunged more than 15 percent this year, but Biogen’s market value of more than $60 billion is still the highest for any Massachusetts company. Scangos said that Biogen was ending less promising drug programs to invest in clinical areas where there are large unmet needs. “These compounds we have in late-stage development really have the potential to transform the lives of millions of patients,” he said. Scangos said he was particularly excited about Biogen’s experimental drug for Alzheimer’s, which reduced the buildup of amyloid plaque in the brain of patients in an early-stage study. Biogen is open to expanding its drug business through acquisition as well as internal growth, Scangos said. The company unveiled an agreement to license a late-stage experimental drug to treat autoimmune diseases from Japan’s Mitsubishi Tanabe Pharma. Scangos said Biogen would also explore buying other commercial or late-stage development drugs. Analysts attributed Biogen’s cutback in part to lower expectations for sales of Tecfidera, an MS pill. While the product had once been projected to generate peak annual revenue of $6 billion to $7 billion, those estimates have been downgraded to about $5 billion, partly because of concern about a rare brain infection that could affect a small percentage of patients. Biogen executives, in a conference call with stock analysts, projected overall company sales would grow 8 percent to 9 percent this year, down from an estimate of 14 percent to 16 percent growth early in the year, though up slightly from a more recent estimate. Conceding there will be more pressure on drug prices in the future, Scangos told analysts he remained confident that drug makers will be able to get “attractive pricing” from health insurers for medicines that improve the lives of patients. He said the industry is preparing a coordinated response to recent criticism from presidential candidates and others. Biogen said it would take an accounting charge of $85 million to $95 million, mostly in the fourth quarter, to cover the cost of the restructuring. The company on Wednesday posted earnings of $965.6 million in the third quarter, up from $856.9 million in the sane period a year earlier. Its sales increased to $2.78 billion from $2.51 billion. While its sales of MS treatments edged up to $2.2 billion from $2.1 billion in the July-to-September period, the sales growth slowed markedly from the torrid pace of the past several years. The company is facing increased competition from other oral and injected MS therapies while anticipating the market introduction of a new drug from Switzerland’s Roche AG that eventually could present another challenge. Earlier this month, Biogen said that its sales chief, Tony Kingsley, the executive vice president for global commercial operations, had left the company. The post is being filled on an interim basis by John G. Cox as Biogen searches for a replacement.